Thailand is a country with magnificent scenery and amazing experiences to be had throughout. From the chaotic capital of Bangkok, a modern behemoth of frenzied traffic and gleaming shopping centres, to the all-encompassing islands that can vary from amazingly secluded to incredibly touristy and exciting. If you are considering getting involved with a TEFL course in Thailand then it is important to remember that Thailand’s cool season is the optimum time to visit as during this period it rains the least and does not get unbearably hot. Due to overwhelming tourism in Thailand in recent years, the country has become a hot spot for young travellers seeking the country’s infamous beach parties, and the demand for English-speaking language teachers had grown massively. In order to secure a TEFL position you will require a Bachelor’s degree, and a TEFL certification would be highly advantageous. Working visas can be obtained affordably and relatively easily. One of the main aspects of Thailand that attracts is the fantastic and affordable cuisine. The country is known for high standard restaurants, especially in Bangkok, and also has street vendors and food markets that offer extremely affordable food. The quality of food here is obviously a bit more hit-and-miss but some places are incredible. From first hand experience I particularly suggest the infamous food market on Koh Phangan, an island in the south of Thailand more famous for the Full Moon Party. 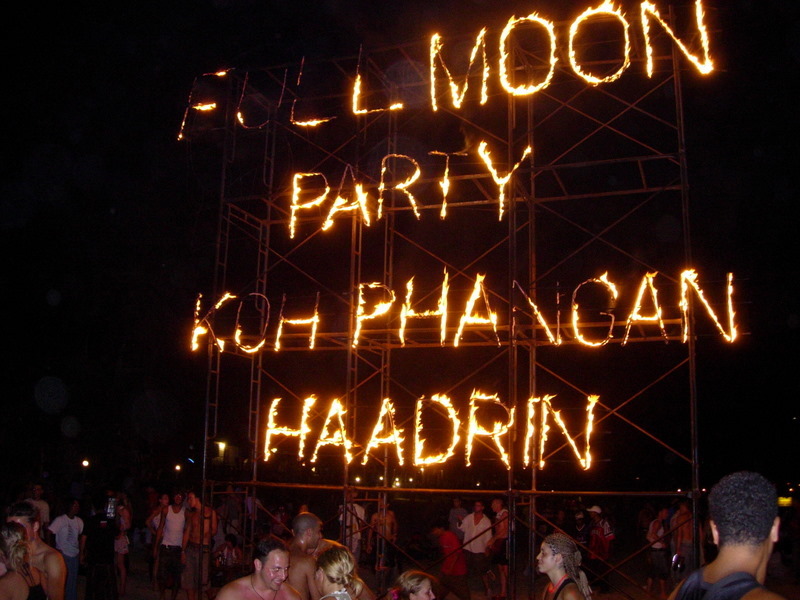 The Full Moon Party is another fantastic reason to visit Thailand. With buses and boats visiting the Southern Islands regularly, Koh Phangan, and neighbouring islands Koh Somui and Koh Tal, are easily accessible and offer some the best beach party experiences the world has to offer, and the chance to meet tourists visiting from all over the world. Alternatively, head west to Phi Phi, where The Beach was filmed, or Phuket to experience more of Thailand’s fantastic nightlife. If Thailand didn’t have enough to offer the keen traveller, then there is always the option to visit any number of exciting neighbouring countries such as Laos, Cambodia, Myanmar or Vietnam. Laos is a great shout for anybody wanting to experience tubing, a tourist favourite to the north in Vang Vieng. There really are life changing experiences to be had everywhere. My name is Stefen Craig and I’m curious about a few things concerning the TEFL and could use a little help. I have been researching ways to take the TEFL course over the past couple months and the most obvious way to do it in an online course. Ive looked through various TEFL companies and have found prices ranging from $150-$1500 for a TEFL course and yet i still haven’t felt comfortable about taking them. Ive been leaning more towards traveling to Thailand and getting certified in a classroom but the cost is considerably more. Ive been trying to determine if i can take a course there but overtime i look for answers online i get blasted with a bunch of companies trying to take me over there for a heightened cost; So my question is if i jut travel to Thailand can i find a credible and low cost in-classroom TEFL course without having to sign up for some over-priced company just to take me on a field trip ?